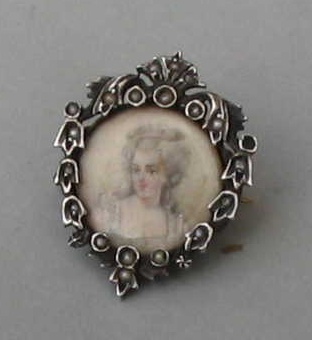 this is brooch with a lady in 18th century dressing. 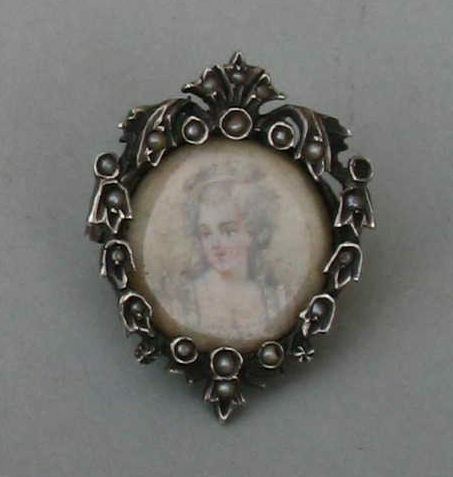 The miniature is painted on ivory enclosed within a garland of silver leaves and natural pearls. 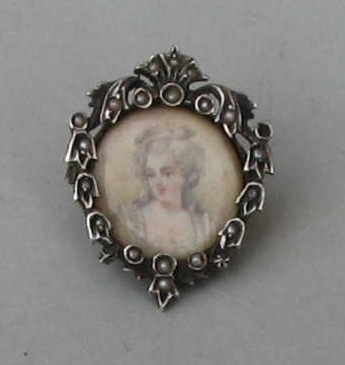 This is a jewelry's piece of French origin and dates probably to the second half of 19th century. 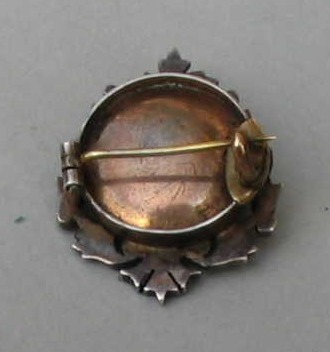 The brooch measures 1 1/4 in. 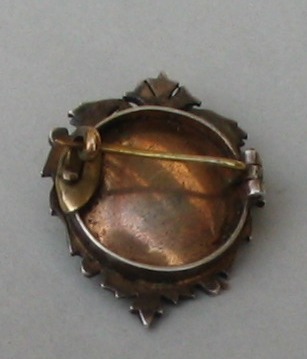 (cm.2,5) and was bought from an Italian dealer at an Antique Fair.